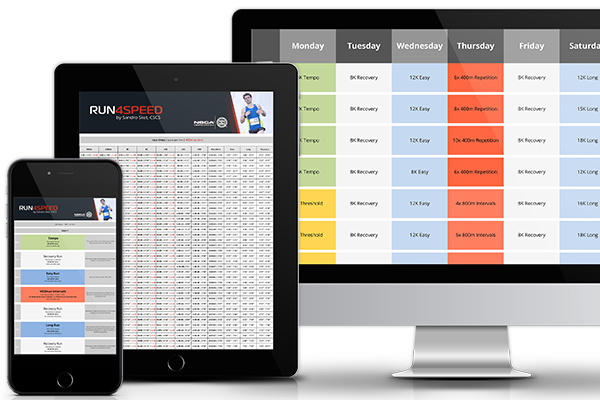 Take the guesswork out of training with a professional running plan tailor-made for you. After an initial consultation, I will design a plan in line with your goals, available time, and your running background. All plans are built from scratch by myself - Sandro Sket, CSCS - specifically for you. Hi! I’m Sandro Sket, a Certified Strength & Conditioning Specialist (CSCS) with a specialization in distance running performance. I have studied all the great running coaches (past and current) and will apply their combined wisdom to your training so that you can race your best. Certified Strength and Conditioning Specialists (CSCSs) are professionals who apply scientific knowledge to train athletes for the primary goal of improving athletic performance. They design and implement safe and effective strength training and conditioning programs. For which race distances do you build custom plans? What is the exact process? Step 1: Select the duration of your training plan (8, 12, or 16 weeks). Everything is customized. Your individual workouts, your weekly structure, your weekly total mileage, your week-by-week training progression, and your taper weeks. Also, I will determine your paces and heart rate zones. Is there ongoing coach to athlete interaction? No. Of course you can contact me with an occasional question but for full coaching please see 1-on-1 Online Coaching for more details. Does the plan adjust to my work schedule? Yes. You can determine your training days and discuss with me how much time you have available for training. That said, optimal training can outperform poorly directed higher training loads. Do you coach runners of all levels? Yes. Whether you're a beginner planning to run your first 5K, or an advanced competitor looking to break 3h for the marathon, I will help to get you there safely. Do you coach ultra runners? Yes. While I only offer standard plans for the classical road races - namely 5K, 10K, half-marathon, and marathon - I do design custom plans for other distances as well, including ultra and trail. Yes and no. I love to help triathlete's running performances but I am afraid I won't be able to assist with cycling and swimming. But I do have a basic understanding how running fits into multi-sport events as I was an avid triathlete as a teenager. In just 4 simple steps to your science-based, personalized training plan. Step 1: Select your event, goal, problem, and the duration* of your custom plan. * Need a special number of weeks? 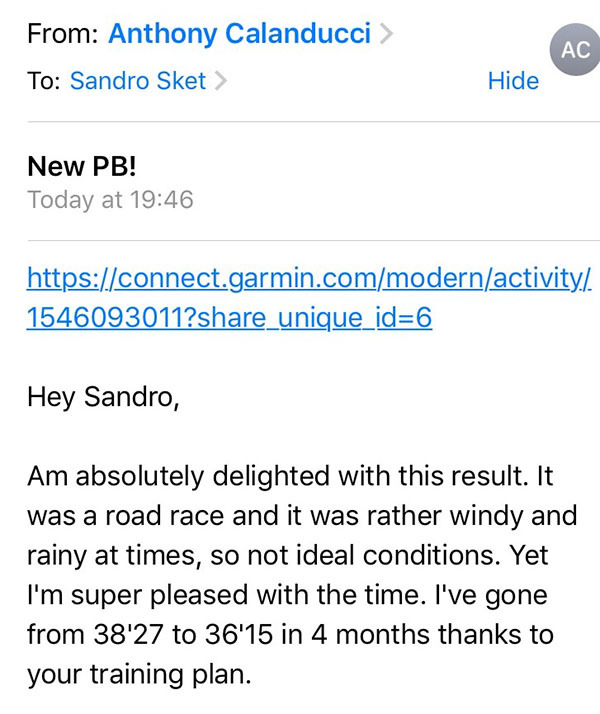 Email me at sandro@run4speed.com and I'll build exactly what you need or consider 1-on-1 online coaching.